Given our multi-faceted lives, only a Multitask Notepad can rise to the challenge of organizing things to do. 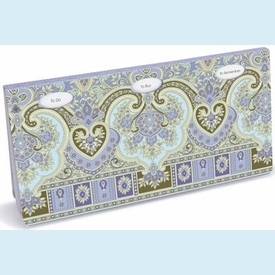 The Hither Creek design contains three notepads with headers for suggested uses ("To Do", "To Buy" and "To Remember"). that peek through a die-cut window on the cover. 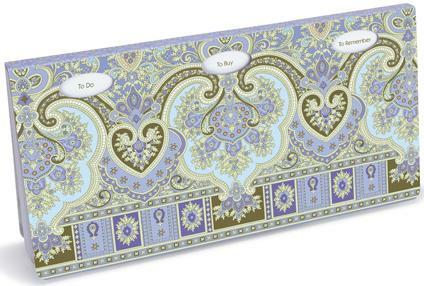 Perfect for the home office desk...even the interior of the cover has space for organizing dates, numbers and notes. Each pad is 3: x 4.5". NOTE: Only 7 left! SIZE DIMENSIONS: 9" x 4.5"